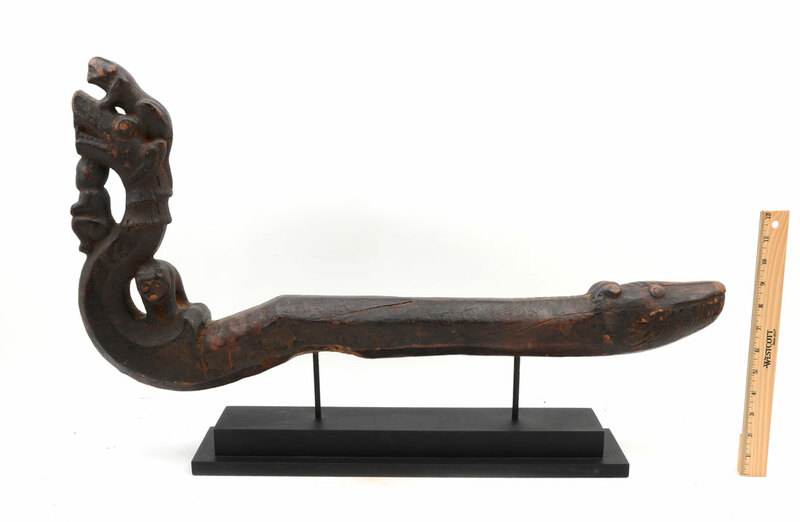 TRIBAL CARVED FIGURAL STAFF OR SCEPTER: Unknown tribe, most likely African, head of staff with figural dragon or serpent, large cat on head, human under chin, and bear or dog on back. 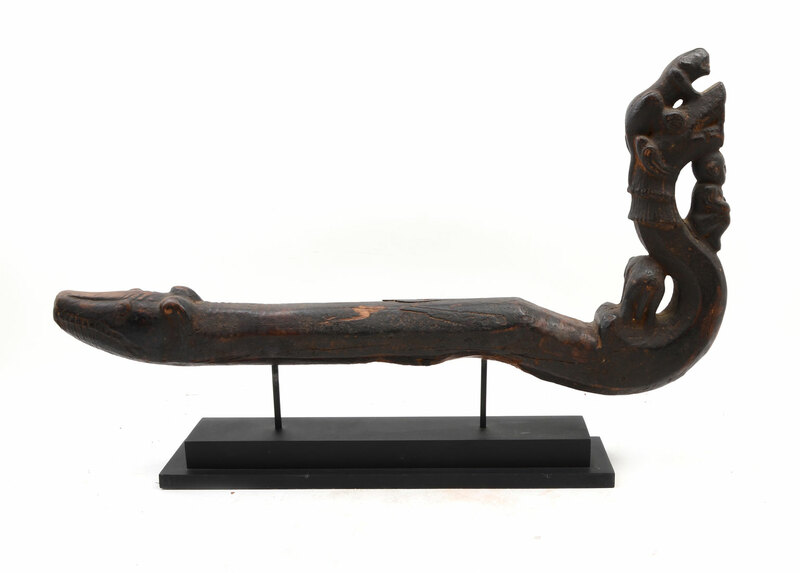 Other end of staff with carved crocodile or serpent mouth with teeth. Affixed to stamped wood plinth, overall measures 18 1/2'' h. x 29 1/2'' long.